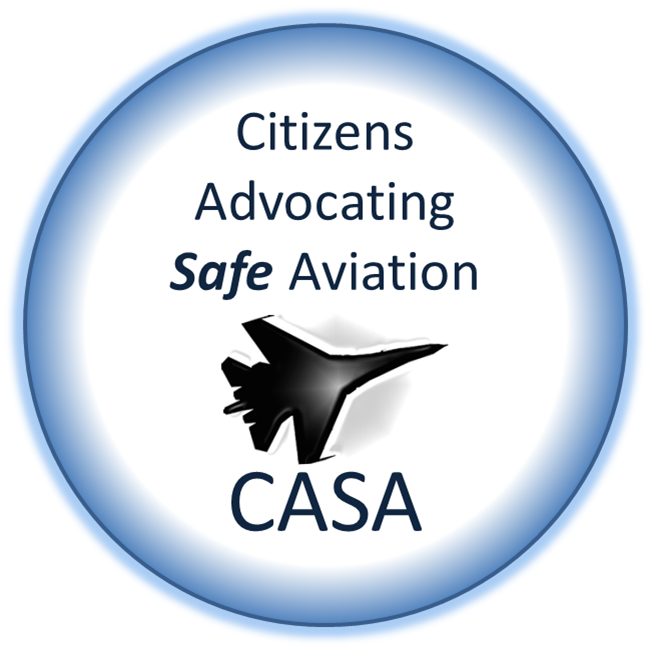 Citizens Advocating Safe Aviation (CASA) watchdog group was formed by a group of citizens in San Diego’s University City neighborhood after the December 8, 2008, crash of an F-18 aircraft which killed four of our neighbors: two children and their mother and grandmother. 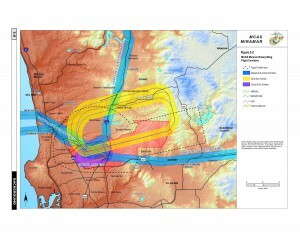 It also destroyed several homes and narrowly missed University City High School. The aircraft, with one engine out, had declared an emergency and was making an unusual west to east Runway 06L straight-in approach to MCAS Miramar. This unusual and seldom used approach brought the aircraft in from the coast over La Jolla, then east over the densely populated University City neighborhood. 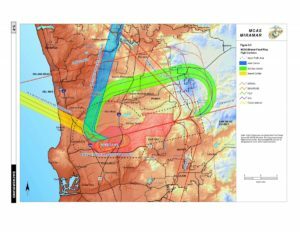 Aircraft on this approach overfly several schools including Mission Bay Montessori Academy, Spreckels Elementary School, Standley Middle School, Chabad Hebrew Academy, Curie Elementary School, Kinder Care Learning Center, University City High School and Lighthouse Early Childhood Center. Approximately 4,500 children attend these schools. On December 8, 2008, the MCAS Miramar F-18 aircraft never finished its approach. It lost the remaining engine, and the pilot safely ejected over University City High School. 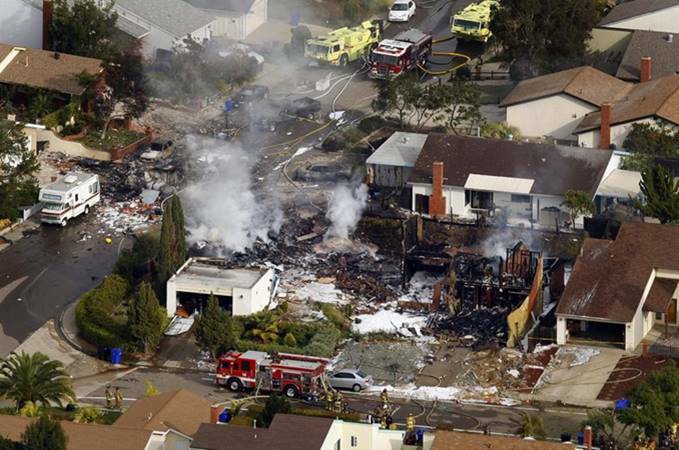 The F-18 then crashed into homes just east of U.C. High School. This west to east approach (straight-in to Miramar RWY-06L) used by this aircraft is not included in the Air Installations Compatibility Use Zones (AICUZ) land use documents and is not normally used because it presents an unacceptable hazard to a densely-populated neighborhood. 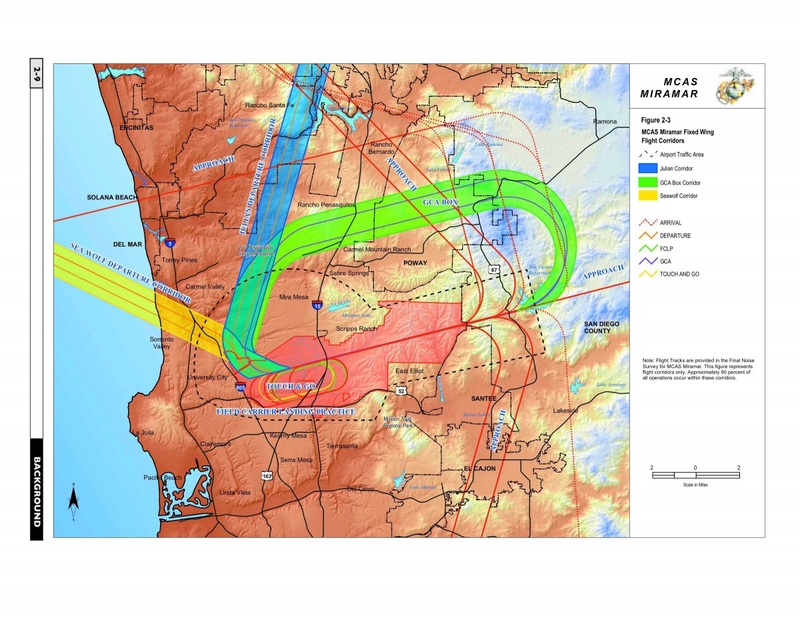 Aircraft approaching MCAS Miramar are normally routed further east of the airfield over mostly un-populated land. Our small group includes veterans and aviation safety experts who have been documenting, almost every single flight day, the ways in which MCAS pilots violate their own safety rules. We define safety as adherence to the DoD mandated FLIP and standard instrument procedures. These violations include excessive airspeed, altitude and noise violations and, most detrimental to the safety of our neighborhood, repeated unauthorized and unsafe flight paths like the one that ended in tragic deaths in 2008 and continue to endanger the residents of our neighborhood. Sometimes neighbors tell us that when they hear military jets flying over our neighborhood, they hear the “sound of freedom” and we should appreciate all the Marines do around the world to make us safer. We do; we appreciate and support our military personnel. We are not a political group and we are not anti-military. 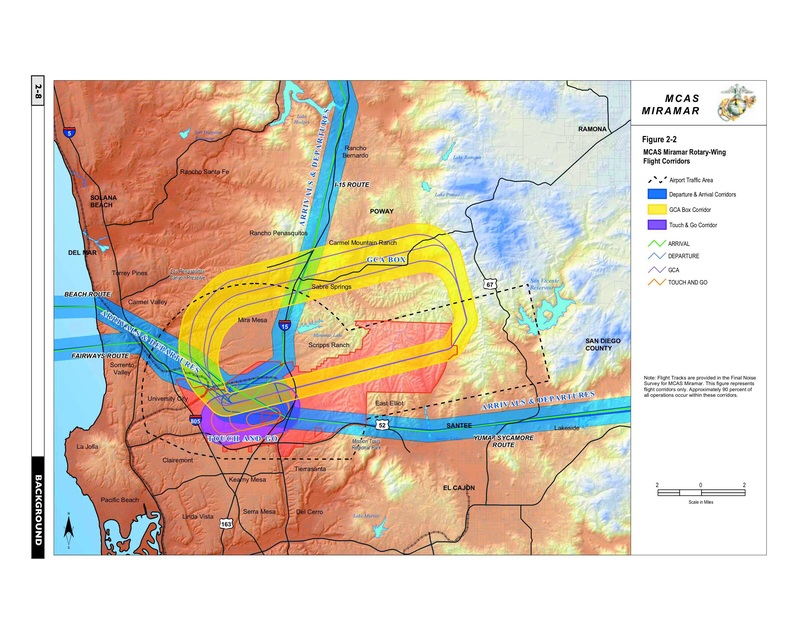 Our goal as a citizens group (with several retired military members) is to ensure our neighborhood’s safety by insisting that MCAS leadership remain accountable to its own flight safety and noise protocols.